The State Department released this wanted poster for Hamza bin Laden. The image of Hamza is taken from his wedding video, which was recovered in his father’s compound. 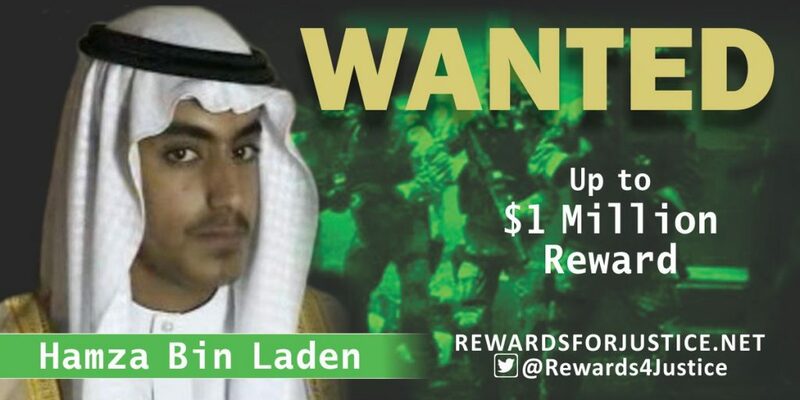 The US State Department announced today that it is offering a reward of up to $1 million for information on the whereabouts of Hamza bin Laden, the ideological and genetic heir of al Qaeda’s founder. 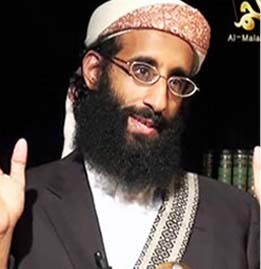 State says Hamza, whom the US government designated as a terrorist in 2017, is “emerging as a leader” within al Qaeda. Osama bin Laden’s “letters seized from the Abbottabad, Pakistan compound where bin Laden was killed indicate that he was grooming Hamza to replace him as leader of” al Qaeda, the State Department said in its announcement. FDD’s Long War Journal has previously reported on the Abbottabad letters concerning Hamza. 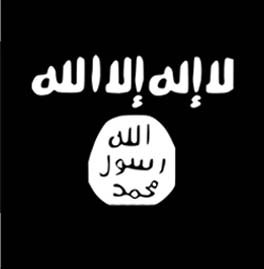 The correspondence indicates that he chose to join al Qaeda’s ranks even after his father worried for his safety. Osama recommended that his son study abroad in Qatar after being freed from Iranian custody. Hamza chose the jihad. One of Osama bin Laden’s most senior lieutenants then provided Hamza with explosives training in northern Pakistan. In its announcement today, the State Department claims that Hamza “married the daughter of Mohammed Atta, the lead hijacker and a mastermind of al Qaeda’s September 2001 airline terrorist attacks on the World Trade Center.” Some bin Laden family members told the Guardian that this was the case last year, but it does not appear to be accurate. No official account of Atta’s life indicates that he had a child, though it is conceivable he had an unknown daughter. 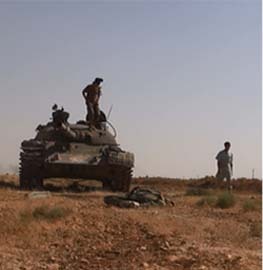 Following the 9/11 hijackings, Hamza and other al Qaeda family members fled to Iran. While the Iranians have allowed some al Qaeda figures to operate on their soil, bin Laden’s family and others were held under a form of house arrest at times. Hamza’s detention inside Iran became a point of contention between his father and the Iranian government. In 2017, the CIA released a video of Hamza’s wedding day. The footage was recorded inside Iran, where he was living or held at the time. The video was released after FDD’s Long War Journal advocated for the declassification of thousands of files recovered during the Abbottabad raid, including the footage of Hamza’s marriage. The State Department used an image from that same wedding video in its wanted poster, which advertises the reward for information on Hamza’s whereabouts. Hamza bin Laden (center) on his wedding day. To his right (the reader’s left) is Mohammed Islambouli, a senior al Qaeda figure who was in Iran for years after the 9/11 hijackings. More recently, Islambouli has been located in Turkey. Although the images of Hamza bin Laden above are dated, they are the most recent pictures that are publicly available. Al Qaeda hasn’t released current images of Osama’s son. 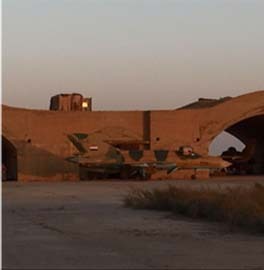 This is likely because of security concerns, as Hamza is hunted by the US and its allies. Instead, al Qaeda has used images of him as a young boy. 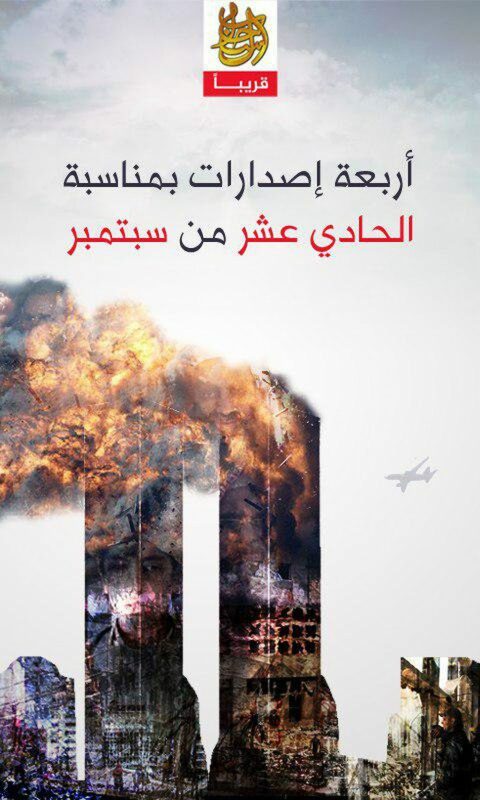 One such photo was embedded in a graphic of the Twin Towers under attack on 9/11. That graphic, seen at the bottom of this article, accompanied al Qaeda’s messaging on the 16th anniversary of the hijackings in 2017. While the junior bin Laden hasn’t released a new message in months, he has been a regular commentator on the jihadists’ global affairs. Al Qaeda’s propaganda arm, As Sahab, began releasing messages from Hamza bin Laden in Aug. 2015, when he praised the leaders of al Qaeda’s regional branches and emphasized his loyalty to the head of the Taliban. 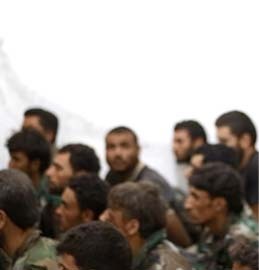 Since then, he has boasted that al Qaeda expanded its geographic footprint post-9/11, repeatedly criticized the Saudi royals and called for regime change in Saudi Arabia, offered advice for “martyrdom seekers in the West,” encouraged jihadist unity in Syria, lionized his father and called for revenge for his killing, and warned of Shiite expansion throughout the Middle East. These are just some of the topics Hamza has covered in his messages. 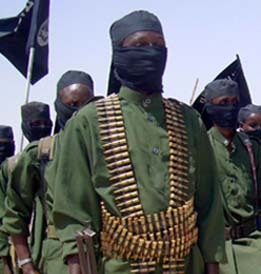 In a report last year, the UN said that Hamza and Ayman al-Zawahiri (Osama’s successor as al Qaeda emir) “are reported to be in the Afghanistan-Pakistan border areas.” US officials contacted by FDD’s Long War Journal say it is suspected that Hamza has traveled into and out of Iran in recent years, though this publication has not confirmed that claim.